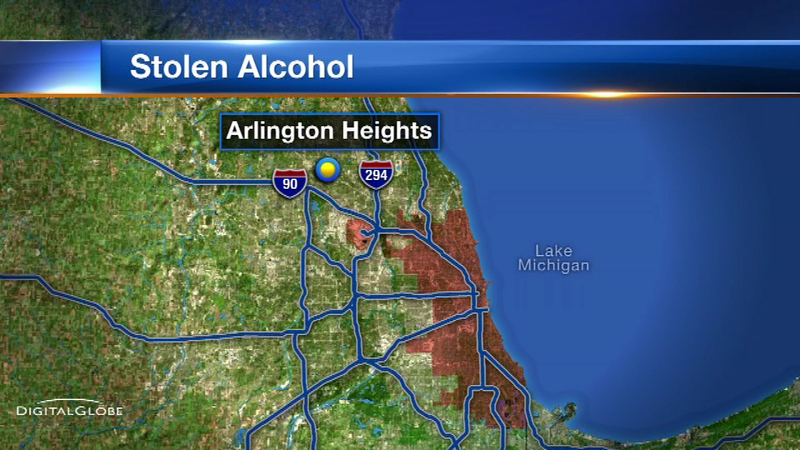 ARLINGTON HEIGHTS, Ill. (WLS) -- Police are looking for thieves who stole more than $1,600 worth of booze from a Jewel-Osco in Arlington Heights. The robbery took place last month at the grocery store at Rand and Palatine roads. Just after midnight, someone distracted employees while another individual filled a shopping cart with the liquor and left the store.